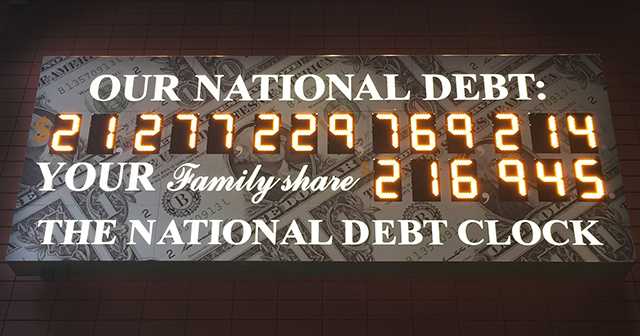 Home | Blog | How Much Is the National Debt? What are the Different Measures Used? There are three widely used measures of federal debt: debt held by the public, gross federal debt, and debt subject to limit. What are the important differences between these measurements? Debt held by the public is the amount that the U.S. Treasury has borrowed from outside lenders via financial markets to support government activities. In simple terms, this is the dollar amount of debt we owe to creditors such as individuals, businesses, pension and mutual funds, state and local governments, and foreign entities. It does not include intragovernmental debt, which is covered below. Debt held by the public at the end of fiscal year 2018 was $15.8 trillion. Such debt is issued in a range of maturities from 1-month bills to 30-year bonds. It also includes securities that are not traded in secondary markets, such as savings bonds and state and local government securities. 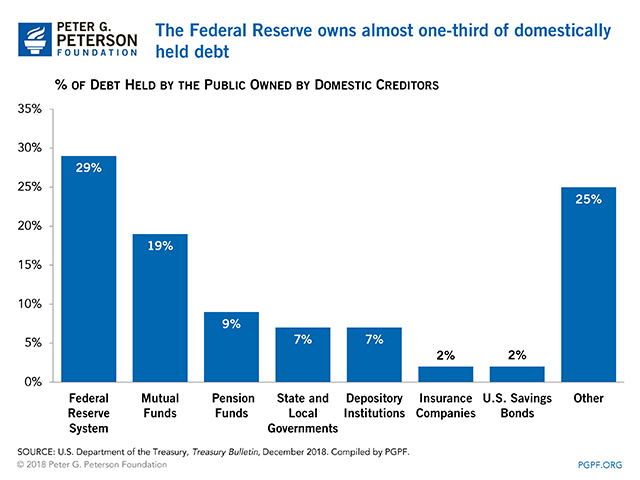 Domestic creditors hold about 60 percent of the outstanding debt held by the public; roughly one-third of that amount is owned by the Federal Reserve. The remaining 40 percent is held by foreign creditors. Many economists regard debt held by the public as the most meaningful measure of debt because it focuses on cash raised in financial markets to support government activities. It is often expressed as a percentage of gross domestic product (GDP), a ratio that measures the capacity of the economy to support such borrowing. Debt as a percentage of GDP is particularly useful in comparing debt levels over time, and among countries of different sizes. The United States’ debt to GDP ratio at the end of fiscal year 2018 was NEARLY 78 percent. That figure is up from 76.5 percent at the end of 2017, and is the highest since 1950. Under current law, debt held by the public is on track to reach the size of our economy in the next decade. 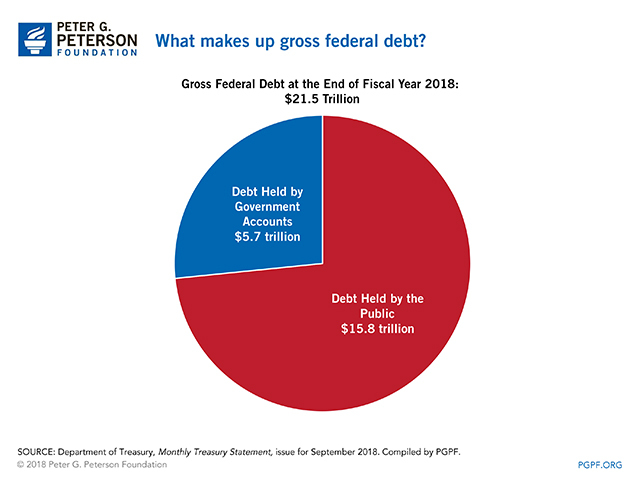 Gross federal debt equals debt held by the public (explained above) plus debt held by federal trust funds and other government accounts. In very basic terms, this can be thought of as debt that the government owes to others plus debt that it owes to itself. 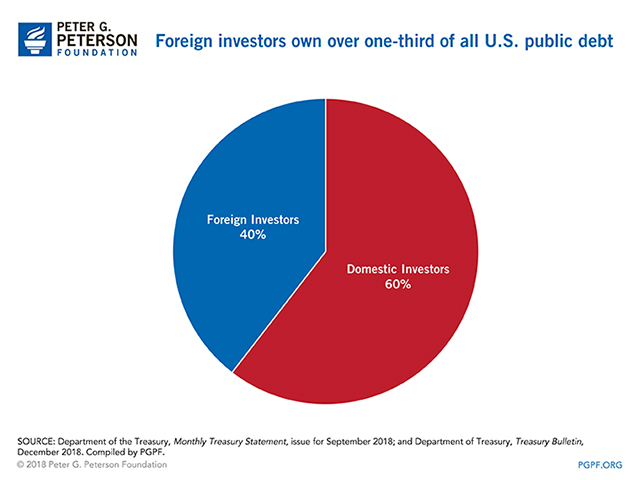 Gross federal debt stood at $21.5 trillion at the end of fiscal year 2018 — $5.7 trillion of which represented securities held as investments of government accounts. About half of that total — $2.8 trillion — is held by Social Security’s Old-Age and Survivors Insurance trust fund. Securities held by such accounts represent internal transactions of the government and thus have no direct effect on credit markets. Debt subject to limit is almost an identical measure to gross federal debt. The main difference between the two measures is that debt subject to limit excludes debt issued by agencies other than the Treasury as well as debt issued by the Federal Financing Bank. Total debt subject to limit at the end of fiscal year 2018 was $21.5 trillion. The debt limit is currently suspended through March 1, 2019. 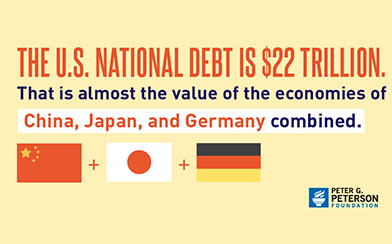 Each measure of debt is useful in understanding our nation’s fiscal condition. 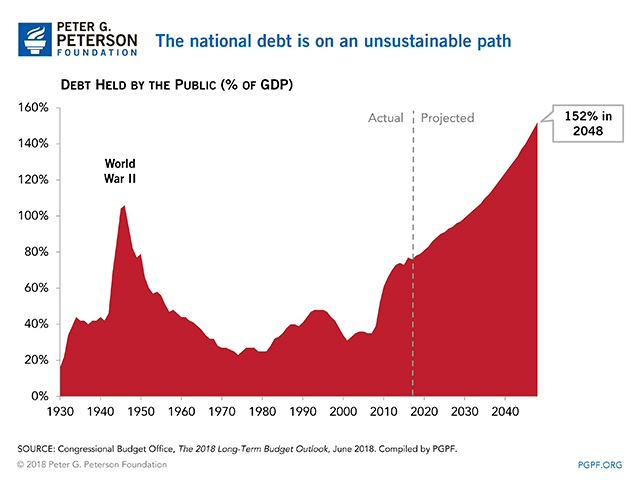 However, no matter the measurement, it is clear that our debt is already historically high and is on an unsustainable trajectory that threatens economic opportunities for the next generation.